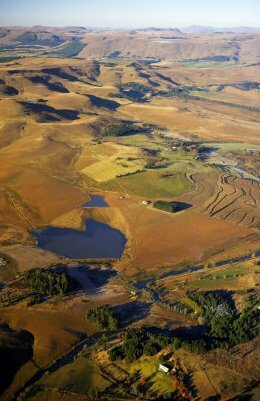 The Natal Midlands is the lush farmland area stretching from the foothills of the majestic Drakensberg in the west, to the sunny Natal Coast in the east. Numerous rivers make their way through the Natal Midlands towards the warm Indian Ocean and there are many indigenous forests in the region. 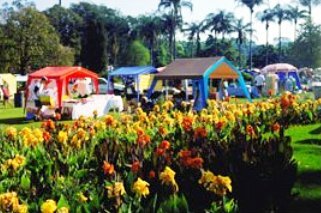 The main attraction is the renowned arts and crafts trail, the Midlands Meander. Situated in KwaZulu Natal, the Midlands Meander is just north of Pietermaritzburg and extends from Rietvlei and Currys Post in the east, to Dargle Valley and Fort Nottingham in the west. This stunning stretch is about 80km’s long and brimming with amazing sights, sounds and activities. No wonder thousands of people traverse the Midlands Meander, each year. In 1985 local artists, potters and weavers decided to join forces to create an arts and crafts route. Soon enough, six studios were opened and the Midlands Meander was born. It is also known as the ‘arts and crafts route’. From humble beginnings, it has now grown to more than 160 places to eat, drink, sleep, shop, play as well as a diverse and fascinating mix of arts and crafts. There are weavers, potters, woodcrafters, leather workers, artists, metalworkers, box makers, herb growers, cheese makers, beer brewers and so much more. There is very little time to be bored with the array of activities and things to see. These villages are also set in picturesque landscapes offering magnificent views. There is so much to explore in the Midlands Meander. From the vastness of shimmering waters of the Midmar Dam to the looming but breath taking Drakensberg Mountains, from quiet villages to an array of craft shops, there is just so much to see and do! Water sport lovers congregate at the popular Midmar Dam where enthusiasts enjoy windsurfing, sailing, boating, canoeing and much more. There are also many historical buildings, in this area, some of which date back to the 1880's. A number have been declared National Monuments including some well preserved Settler Churches. These monuments include The Natal Railway Museum, The Goodman Household monument and the commemoration wall where President Nelson Mandela was arrested prior to his 27 year imprisonment. 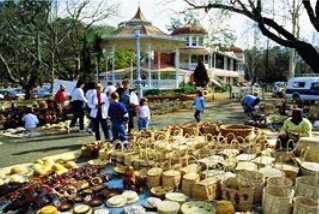 Whether you’re a fan of history or not, these sights and monuments provide a fascinating glimpse into the South Africa of old. 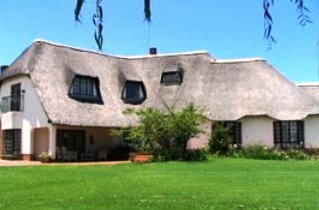 The accommodation in the Midlands Meander is varied enough to suit any preference. While it is still possible to stay in one of the original old hotels, you also can have the opportunity to spend the night in a tree house, surrounded by wildlife in a nature reserve, cuddled by the warm fire in a cave in the mountains, camp in a lush forest or stay in an upmarket Bed and Breakfast - whichever you choose, it promises to be a memorable stay. There are a vast amount of fantastic restaurants with a diversity of mouth-watering munchies to choose from. Time goes by so much slower in this part of the country. Interestingly, the word ‘meander’ means ‘to wander at random’. So take your time, relax and enjoy aimlessly wondering along the winding paths of the beautiful Midlands Meander Route in South Africa. It promises to be a truly unforgettable time. The Boston-Bulwer Beat is a tourism association, which promotes the areas surrounding these South African villages. Boston and Bulwer are located in the foothills of the Drakensberg, amidst rolling hills, lush forests and tranquil lakes and dams, it is an ideal destination for those seeking peace and quiet and good country fare.